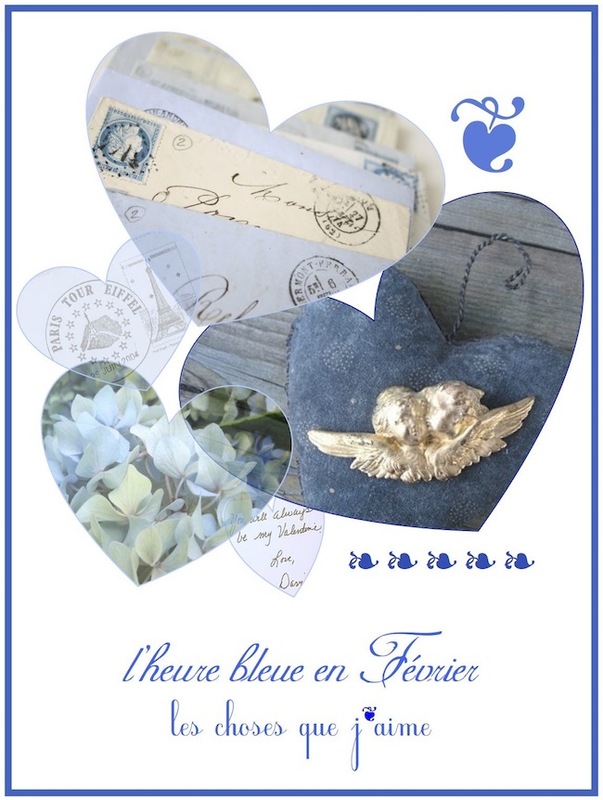 A collection of blue hearts contains l'heure bleue moments... French vintage letters in blue and white envelopes, cherubs on a blue velvet heart, blue hydrangeas, an Eiffel Tower stamp cancellation, a snippet of a valentine message, and two heart font characters. Each of these gives ideas for ways to celebrate Valentine's Day. 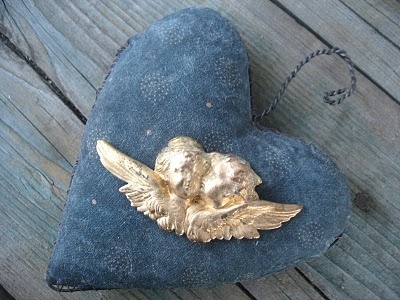 Laura at 52Flea shared this pair of vintage Limoge cherubs resting on a blue velvet heart in At Bit of Blue as part of a beautiful romantic collection of blue. Nothing is more romantic than giving a special piece of jewelry to someone you love, and giving a vintage French piece of jewelry makes the gift even more romantic and special. See Laura's post for more blue valentine inspiration. Please visit 52Flea to PIN the above photo. Write your special someone a handwritten love letter describing reasons you love him/her. 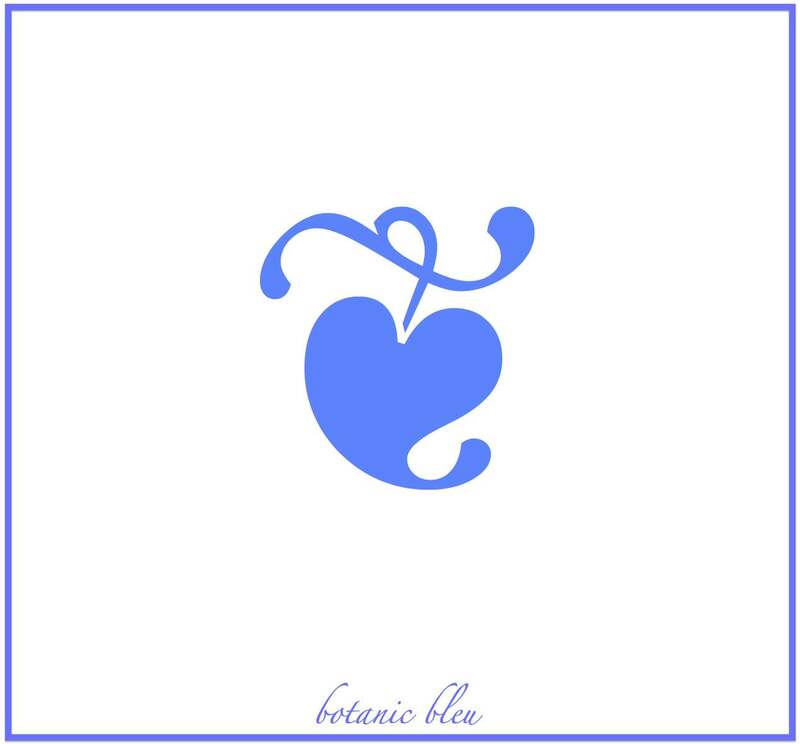 Make it even more romantic by using beautiful blue French stationery, special stamps, and your favorite French perfume to lightly spray the envelope. G. Lalo is a French company that makes beautiful paper and envelopes similar to the French vintage envelopes shown. Tracey at French Larkspur travels to France regularly where she collects French brocante to bring home and offers many items to her readers. Some favorite French items are vintage letters with their distinctive French cursive handwriting, artistic stamps, and cancellations that authenticate the letters are vintage. Could these be French love letters? Please visit French Larkspur to PIN the above photo. Flowers are the language of love. 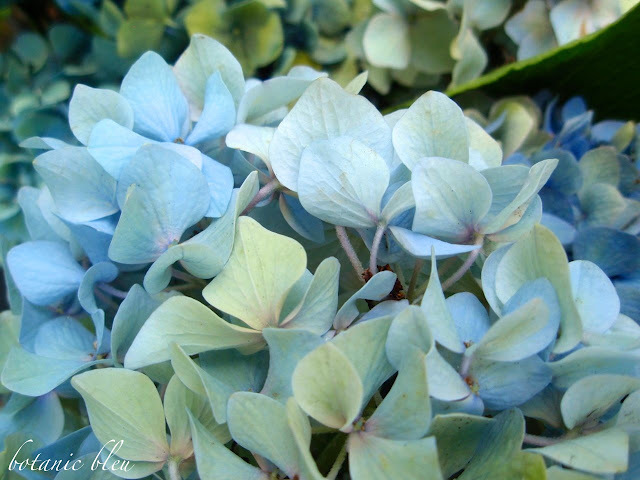 Send your loved one a bouquet of flowers or send him/her a plant in flower like a blue hydrangea. Every time your special someone sees the plant, he or she will remember your love. Roses have long been the traditional flowers for Valentine's Day bouquets, but the Long Tall Texan knew how much I love blue hydrangeas and always sent blue/mauve/white mixed bouquets for every special occasion. These hydrangeas were from my mother's garden a couple of summers ago, and I gathered armloads of them to bring home with me. Hydrangeas are forever linked to the people I love. 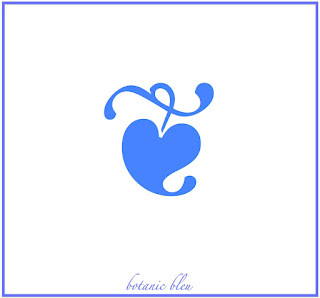 Botanic Bleu readers recognize the heart character from the Zaph Dingbats font that is part of my sign-off for each blog post. Seeing that one little character always makes me happy. 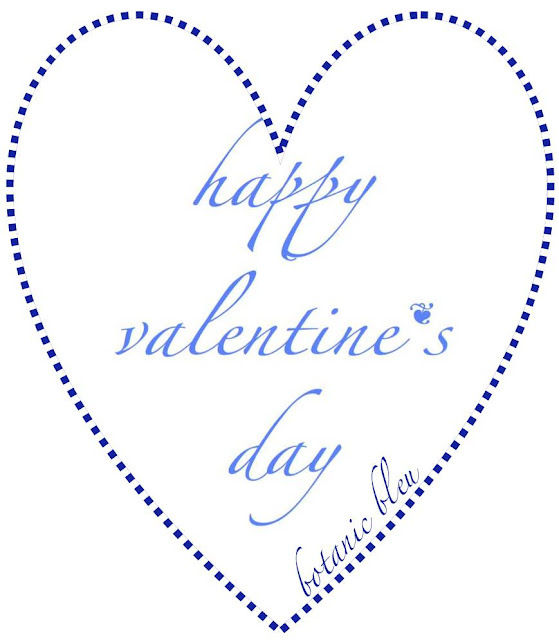 Add this little heart to a Valentine for friends and neighbors to bring a smile to their faces. Using it in place of an apostrophe is one of my favorite ways to use this special heart. 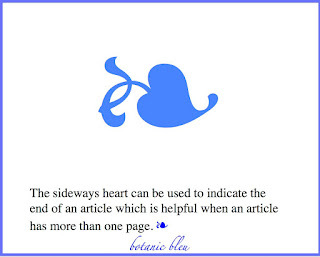 One of the better known publications to use the sideways heart to indicate the end of its articles is Victoria magazine. 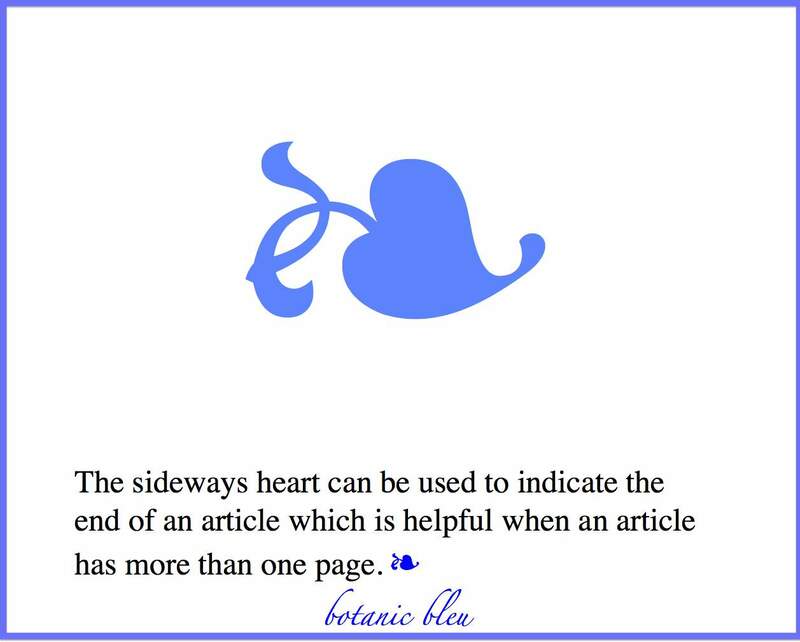 For years I used the sideways heart in my high school math lesson plans, tests, and worksheets. Dingbat fonts have many great little characters that add a little something special to writing. Do you have a favorite character you use? The color blue is one of my favorite things in life, and l'heure bleu is one of my favorite times in life. L'heure bleue is not so rare that few people ever glimpse it, but l'heure bleue is a rare beautiful few minutes that occur only when all the atmospheric conditions are just right. Because of its beauty that makes time stop for an instant, the expression l'heure bleue has come to describe a variety of special times and events, not just a description of a special blue glow at dusk. Each month in 2016, I plan to share a collage of blue images that create a little l'heure bleu for me. Are there some things that give you a little l'heure bleue moment? There are ten more collages, one per month in 2016, filled with things that give me l'heure bleue moments and hopefully, you too. Oh Judith, I love your gorgeous shades of blue. Both on your blog and in your lovely posts! Oh Judith, there is only one place that I go for L'heure bleu! Need I say more? Je ne pense pas! So happy you found me at my new home! Judith, I'm so happy that you are doing this series. It' is a brilliant idea! Merci! Hi Judith, who says Valentines have to be red? Your bleus are always inspiring. so looking forward to what's to come in all the beauty your French home inspires. The hydrangea is gorgeous. I loved Victoria Magazine. So many beautiful inspirations over the years. Thanks for the inspiration here. Have a beautiful day. This is a fun and beautiful post, Judith. ;) Love those blue hearts. Are you going to come to the Valentine's get together in McKinney? Sure hope so. Such beautiful a beautiful color...so soothing and calming! I love the little heart you use also! Hope you are doing well! Hugs!! I absolutely love this Judith. I am not a huge fan of traditional Valentine decor. This speaks my language! The cherubs are such a romantic note.